Noemi is a Manager in Deloitte’s Data Protection and Privacy practice in Toronto. She provides privacy and data protection advisory services for organizations seeking to deliver new and better services for their clients and the community, advising in the areas of regulatory compliance, data protection, information privacy, and risk management. She specializes in serving technology, healthcare, retail, and public sector clients participating in new initiatives that involve the collection or use of personal information. Prior to Deloitte, she articled at Borden Ladner Gervais LLP and was a Visiting Researcher at the University of Washington Tech Policy Lab, where she looked at privacy in the context of the Internet of Things, AI, connected and autonomous vehicles, and robotics. 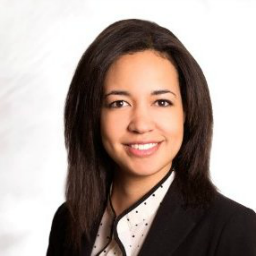 Noemi holds a BA from the University of Waterloo, a Master’s in Economic Policy from McMaster University, and a law degree from the University of Toronto Faculty of Law. She is licensed to practice law in Ontario.